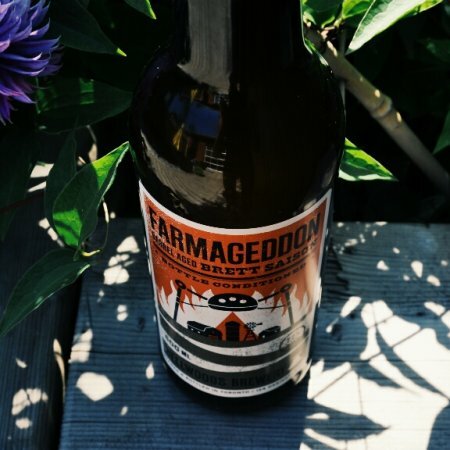 TORONTO, ON – Bellwoods Brewery has announced that a new batch of Farmageddon – a version of Farmhouse Classic Saison aged in wine barrels with the addition of Brettanomyces – will be released today (July 2nd) in the brewery retail store. This one we’re particularly excited about because it’s our oldest one so far (at a year in barrels! ), and therefore slightly grander, in all regards, than the others. In this batch the brett aromas are bold, the flavour is more tart, and the split of yeasts is heavy on the Lambicus. The beer is delicate, beautifully effervescent, with a true champagne mouthfeel. Bellwoods Farmageddon will be available in the Bellwoods retail store starting at 11:00 AM today, selling for $9 per 500 ml bottle while supplies last.